Quick Cost Effective Quality Solutions For You. Our Entire Business Model Focuses on Keeping Your Costs Low. MartinasWeb.com is a smaller privately held business, serving clients since 2002. MartinasWeb.com provides custom quality Web and database solutions to busy professionals inexpensively. In 2004 digital photography was added to our service offerings, since many of our Web clients needed photography as part of their Website development solution. We have never lost a bid due to a competitor providing a similar lower cost product solution. Martina Kolm or another developer. We're available 247 (but call after hours). We only sell what you need. Anything extra is clearly defined as an optional item. You choose the level of service you want. our service so no extravagant trips, dinners, furnishings or dress codes here. do not round our billable hours up, but track our time to the second. solve a problem quickly instead of redesigning a whole new Web application. technologies, we provide a personalized touch that's hard to find elsewhere. You're not a number. We need you to stay in business. Please call today. We are trying to save the Web from becoming one giant content management system (CMS) owned by a few mega firms, therefore all sites are unique and custom made with the sole focus being your needs & budget. 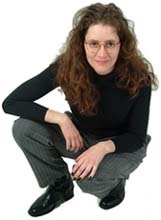 Martina Kolm was born in Germany and earned a Physics Degree from Southern Methodist University. She also holds two Associate Degrees from North Lake College in Management and Arts & Science. All colleges are located in the Dallas, Texas area. Upon graduation from SMU she was an Introduction to Programming instructor and then an Application Engineer. She then left the corporate world to start her own business focusing on Web and database development. Digital photography was added to the business model upon the realization that no other Web development company, she knew of at the time, offered this combination of creativity, technology and service.